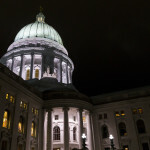 Wisconsin Democrats faced a bitter setback on Tuesday, apparently losing a state supreme court race they expected to win easily against a deeply flawed candidate. The result triggered some bitter deja vu for local liberals — and stood in sharp contrast to Democrats’ big successes in the 2018 midterms and other recent races in the state. Wisconsin Democrats are back to feeling a familiar sinking feeling. 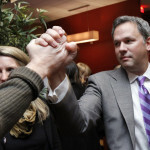 North Carolina businessman Greg Lindberg, who was indicted on multiple counts of campaign finance fraud and attempted bribery on Tuesday, has almost singlehandedly bankrolled a pair of groups closely aligned with the state’s Republican gubernatorial front-runner. 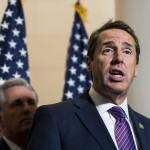 Rep. Mark Walker (R-NC), a member of House GOP leadership, appears to be the unnamed “Public Official A” in a bombshell public corruption probe unsealed on Tuesday. North Carolina Republican Party Chairman Robin Hayes has been indicted by a federal grand jury as part of an ongoing corruption probe that threatens to consume his party. 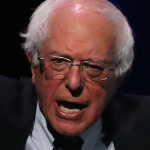 Sen. Bernie Sanders (I-VT) raised $18.2 million in his first six weeks as a candidate, his campaign announced, a large sum that will likely lead the Democratic presidential field. 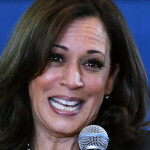 Sen. Kamala Harris (D-CA) raised $12 million in her first months as a presidential candidate, her campaign announced Monday evening, a strong haul but one that may be overshadowed by other candidates. 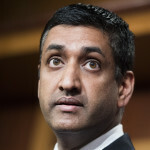 So much for a potential breakthrough to end a building fight between House Democrats’ official campaign committee and a number of members furious over their attempts to freeze out strategists who back primary candidates against incumbents. 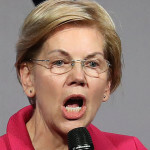 WASHINGTON–Elizabeth Warren called for a constitutional amendment to protect the right to vote and for ethics rules to be expanded to cover the Supreme Court. Beto O’Rourke floated an end to the Electoral College, called for a national ban on gerrymandering, and promised as president, he’d sign an executive order requiring his cabinet to hold monthly town halls. Bernie Sanders called for the public funding of federal elections and making Election Day a national holiday. 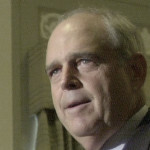 After a week of furious battles over House Democrats’ campaign arm move to blackball any operatives who back primary opponents to members, one progressive thinks he might have a compromise solution.